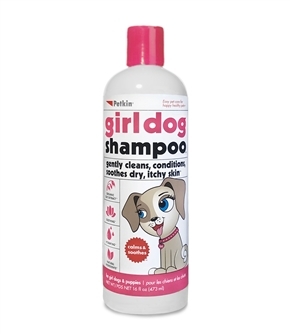 Girl Dog Shampoo gently cleans, conditions and soothes dry, itchy skin. New technology uses skin soothing minerals and organic oat extract to clean and condition. 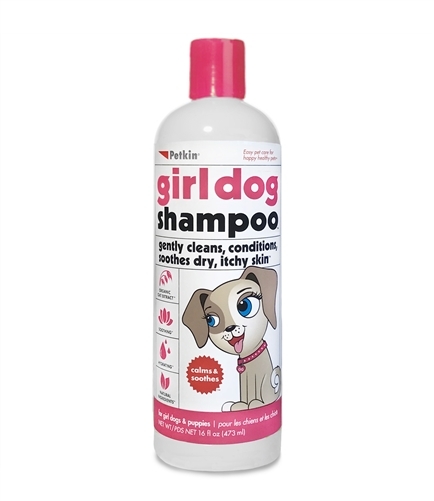 Our gentle cleansing formula freshens your dog while controlling odors. Wet coat. Apply shampoo from head to tail. Gently massage into coat to form a rich lather. Rinse and towel dry. Can be used as often as needed.